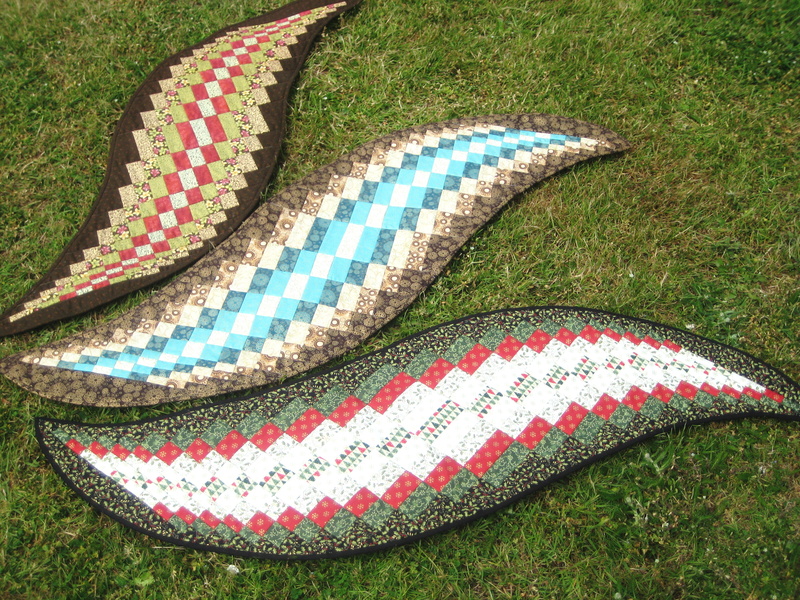 We offer a variety of workshops in our shop at Monks Eleigh – click here. 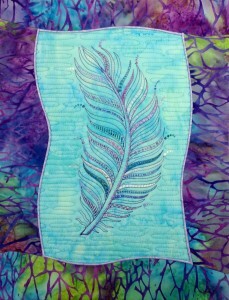 Vendulka also travels to give talks and teach quilting groups – for more info click here. If you’d like a group visit please contact us for more info. 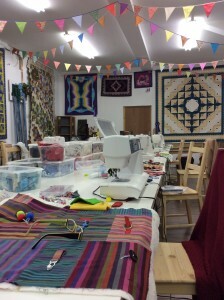 Our spacious workroom is light and very comfortable for a full day workshop. We also have a disabled access to the shop and to the workroom! Be sure to keep an eye on this area of the website for all the latest workshops; better still – why not register for our e-news and we will notify you when we add workshops. Can’t find a workshop that suits your schedule? We are happy to arrange additional workshops dates for groups of three or more either at your place or in our shop’s premises. If you are part of a group with regular meetings for talks or workshops you can book Vendulka Battias to come and give your one of her 3 different talks or you can choose from plenty different workshops she can come and teach your group in the place you usually meet up.